A graduate of the University of Tulsa, she has worked for TV Guide Channel, Tulsa Public Schools and Tele-Communications Inc. now known as Cox Communications. 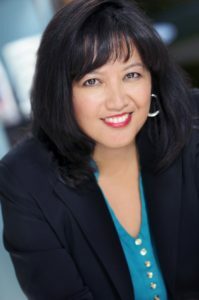 She opened her own consultancy called Estes Communications doing overflow work for public relations and marketing departments as well as assisting small business owners. She later opened the Tulsa branch of The Entrepreneur’s Source and assisted others to consider franchising as a career alternative. She helped place her husband in the Enviro-Master franchise after he was laid off after a 20+ year career in sales management in the pharmaceutical industry. Enviro-Master of Tulsa opened in 1st quarter of 2015 and plans to expand into the Oklahoma City market in the very near future. She also continues to act and sing professionally when the opportunity arises. Isabell is a certified SCORE mentor and a Certified Professional Behaviors Analyst (CPBA). 3168 S. 108th E Ave.